This article was featured in the February 2019 issue of Charisma. My heart is to bring encouragement, hope and faith to children with special needs and to anyone who cares for them. As the director of healing ministries at Bethel Church in Redding, California, I want people to experience God's heart for healing. 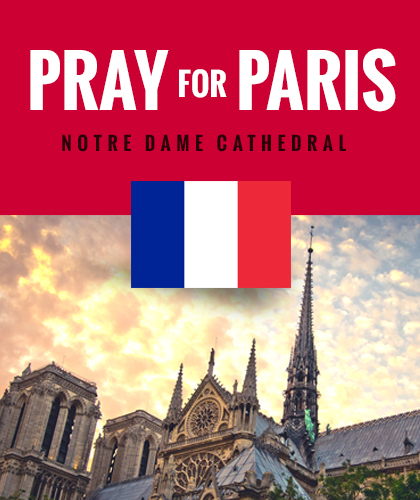 Yet so many parents of children with special needs have lost not only faith but hope. There is unbelievable torment in their homes and lives because of what they are going through. Believe me, my family has been there. My wife, Liz, and I have three beautiful daughters: Charlotte, Emma and Sophie. Our oldest daughter, Charlotte, born in 1995, has spastic quadriplegia with cerebral palsy. We've been on a journey her entire life to understand the heart of God toward healing and the heart of God toward her. Charlotte has taught my family about patience, kindness, love, peace, perseverance, joy and faith. Our journey with her is really what thrust me into healing ministry. In the process, my family has discovered that to know God's heart toward healing and His heart toward Charlotte, we need only look at the character of God through His Son, Jesus Christ. I believe God has been and will always be the healer. He first called Himself the "Lord who heals" in Exodus 15:26, and that hasn't changed, no matter what the circumstances may be. His name is His nature, and He forever covenanted to be our healer through the death of His Son, Jesus Christ. Hebrews 1:3a says Jesus is "the brightness of [the Father's] glory and the express image of Himself" In John 14:9b, Jesus says, "He who has seen me has seen the Father." When we look at the person of Jesus, we recognize He never inflicted a medical condition or a sickness on someone in order to teach them a lesson. He never caused a storm. Instead, what we see is that every sick and crippled person who ever came to Jesus was healed, without exception. Every storm Jesus came in contact with, He calmed. Every funeral Jesus attended, He messed up—including His own! If Jesus is the exact representation of the Father—and He is—then we can also know with certainty that the Father's heart is for healing. Last year, there was a time when our daughter was having a really rough week. She was upset and would scream as soon as we set her in her wheelchair, and she needed to see the doctor multiple times. We thought one of the titanium rods in her back was broken, which would lead to another surgery. I was in a tailspin and could feel it affecting my peace. I talked to one of the spiritual fathers in my life, and he gave me this life-changing word: "Chris, the storm may be around you, but it doesn't have to be in you." The revelation of Jesus in that simple sentence was all it took to help me find my peace again. The person of peace, Jesus, is always accessible in every believer. There is not a moment, no matter how difficult, when we lose access to that peace. That reality is available to every believer. When Jesus was on this earth, He said, "Peace I leave with you. My peace I give to you. Not as the world gives do I give to you. Let not your heart be troubled, neither let it be afraid" (John 14:27). This verse has been one of the most incredible revelatory verses for seeing healing and peace flow into the lives of special needs children and families. In ancient Hebrew, the word "peace" translates as shalom. Shalom means a variety of things, including wholeness and completeness, but it also means "the Spirit who destroys chaos" or "the Spirit who destroys false authority." Jesus uses that same word in Mark 4:39 when He speaks to the chaos of the storm. Jesus is fast asleep during the storm, but the disciples have totally lost their peace. I would like to suggest that we will only have authority when we are able to sleep through our storms. Each person, disabled or not, is an absolute perfect gift from God. Because God is perfect, He can only make perfect things. But He also restores things back to their original design, which I have seen happen time and time again with children with special needs. When God formed us in our mothers' wombs, we were made in His image and likeness (Gen. 1:26), and He is perfect. But too often, I have seen that the identity of the child and the child's condition have become viewed as one and the same, when in fact, they are two separate things. Again, the child is the absolute, perfect gift from God. However, the condition the child has is not. God cannot give us something He Himself does not possess, and God does not have a sickness or disability. I believe that, as a society and as parents, many of us are looking for peace and reconciliation as to why our children have a condition or sickness. We come to the conclusion that it comes from God, and that gives us some type of closure. While this thinking does supply a measure of peace, it's not the peace God would give us; it's the peace of the world. We often make the identity of the child and the condition of the child one, because we have not seen breakthrough in this area. But I believe God does not want our children to remain sick or have a disability. Please don't misunderstand me. I am not saying God does not love our children. He absolutely does. But like any good Father, He wants the best for His children. He wants to see them thrive. Don't we all? In today's culture, I know not everyone believes Jesus still heals. To be honest, I have never faced more resistance on any topic than my desire to see special needs children set free and healed. This article's intent is not to discuss the theology of healing, as there are a lot of great resources on that topic, including simply studying the life of Jesus in the Bible. Furthermore, in praying for children with special needs, I have experienced how passionate people can be about their differing perspectives and feelings. People who disagree that healing can happen for children with disabilities often come from a place of pain and disappointment, or they simply haven't understood our heart. However, as someone who knows the heart of the Father and has talked to families who have seen their children healed, the naysayers' arguments go silent for me. To hear a child who had never talked before say "Mama" for the first time will forever change how you see things. There is hope! I have been confronted with the question, "Can't you just love and accept them as they are?" I have also been quoted as saying I hate children with autism. I do hate autism, but I don't hate the child who has it. I think it is important that the child's condition not become his identity. I love and accept the child, but I hate the condition, as I believe it's not from God, and it's not His design. When Jesus died on the cross, He took what we deserved so we could receive what He deserved. Jesus tells us, "The thief does not come except to steal and kill and destroy. I have come that they may have life, and that they may have it more abundantly" (John 10:10). Read this closely: God is not punishing you by afflicting your child with a disability. A good Father does not do that, and His Son already took the only punishment required. There is absolutely nothing you did wrong to cause this to happen. For those who might have experienced a more difficult past, and your child was born with side effects caused by drug abuse or other factors, the blood of Jesus is still enough to change your future. I'm still praying to experience God's healing power firsthand in my own family. While I am still standing and believing for my own daughter's healing, I also stand on the conviction that the absence of the miracle does not define the heart of the Father. My family would rather die standing in faith than live a life of unbelief. Let's believe Jesus for that abundant life. Abundant life for our children is one where they are free of seizures, spastic muscles, autism, social isolation and language barriers. Abundant life is where they can reach their fullest potential in God like anyone else and are free to run and dream. As of today, we've heard over 60 reports of full or significant breakthrough in children who were on the autism spectrum. I highlighted stories of children and adults who have been fully healed, as well as some who are still in the process, in my book The Perfect Gift. Not all of these people have been prayed for by me or even by Bethel Church—after all, the healing power of Jesus is available for every believer. Every breakthrough is significant, and Jesus deserves all the glory for every one of them. Our heart's desire at Bethel is to see parents have permission to believe again, believing that healing is God's best for His children. We pray that each home of special needs children would be filled with joy and encouragement. For any parents of special needs children, we pray that chaos would not be the ruler of your house, but peace would be your portion and that your household would become a fortress of fresh hope. We pray that you would be encouraged and thanksgiving would flow from your lives as we all focus on what Jesus has paid for. May the Holy Spirit ignite your faith and hope to see the kingdom of God come in the life of your family, in Jesus' mighty name. Chris Gore is the director of healing ministries at Bethel Church in Redding, California. He is the author of Walking in Supernatural Healing Power and The Perfect Gift. 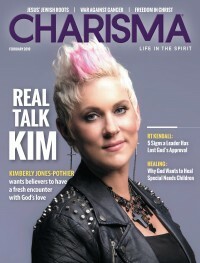 CHARISMA is the only magazine dedicated to reporting on what the Holy Spirit is doing in the lives of believers around the world. If you are thirsty for more of God's presence and His Holy Spirit, subscribe to CHARISMA and join a family of believers that choose to live life in the Spirit. CLICK HERE for a special offer. If you liked this article, subscribe to the print magazine to get more like this.